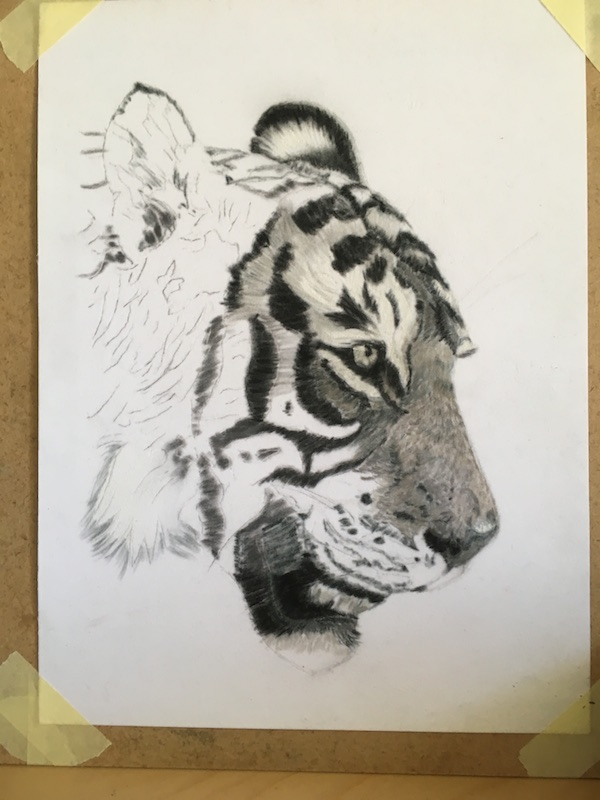 Here are the final stages of my painting of this beautiful male Bengal Tiger. 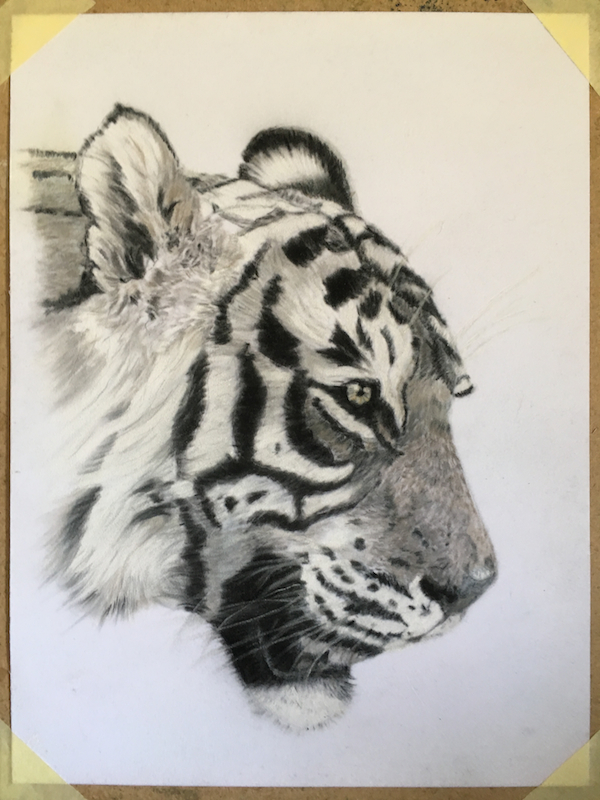 I have used only black and white a various shades of grey pastel to create this image on brilliant white Hahnemuhle Velour. The overall size is 24cm x 32cm. These imperial tigers are given a number to identify them and some are also given a name. This beautiful male is T38; sadly so far I have been unable to find if he also has a name.